Note: This only applies to Ubuntu 7.10. Later releases included automatic configuration of X and as such this is no longer required. Remember the good old days when to change a screen resolution or driver, you had to edit xorg.conf or reconfigure X.org? Those fine times are now over, or they will be, with the release of Ubuntu 7.10. As of an update from a few days ago, users are now able to access a graphical user interface for editing xorg.conf, though only for graphic and display settings. This tool has support for dual monitors at the moment, and with the release of X.org 7.3 it will be possible to add even more. You can turn on and off both (or one) of your monitor(s), change the available resolutions, orientations, and set mirror or exteneded desktops. 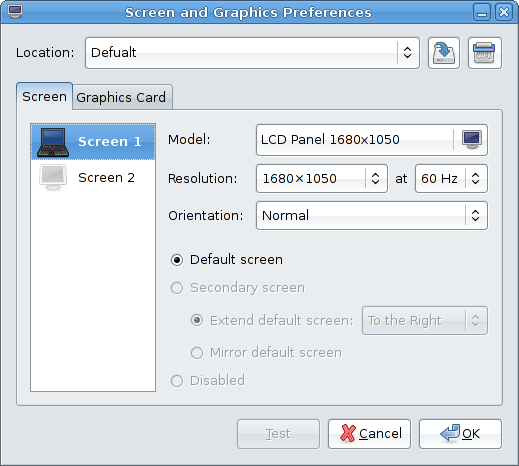 On the Graphics Card tab, you have a selection of drivers and video memory. 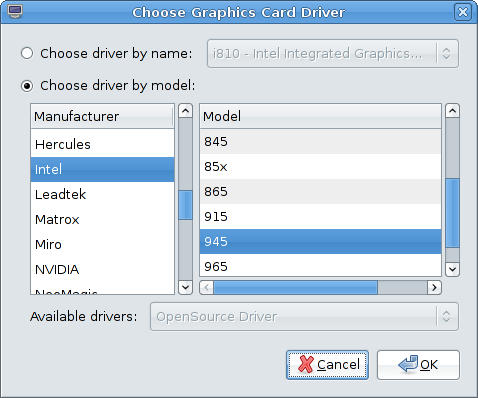 You can pick your graphics card and have it select a driver for you, or you can choose the driver yourself (useful for binary ATI/NVIDIA drivers). The Test feature as of writing is a little buggy, but this is an alpha version still; updates will follow. This feature is actually Ubuntu-specific at the moment, though other distributions are sure to adopt it soon. It is part of Ubuntu 7.10's "Bullet Proof X" blueprint that states, in a general sense, that if X for some reason fails to start, then it will fall back to a failsafe mode with this GUI running to help get you back on your feet. There is much improvement to be made with X as 7.3 releases, but whether this will make it into Ubuntu 7.10 in time is another story. Feature freeze is now in effect, however it was broken for an X update once before. Whether we'll see it all depends on when it is released. Count on FOSSwire for our take on X.org 7.3 later this month or next.